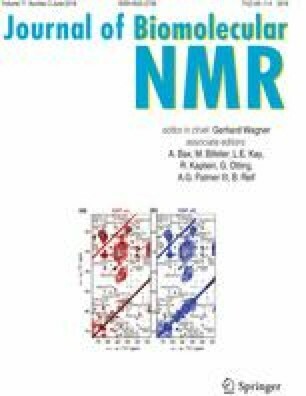 Sodium 4,4-dimethyl-4-silapentane-1-sulfonate (DSS) is the most widely accepted internal standard for protein NMR studies in aqueous conditions. Since its introduction as a reference standard, however, concerns have been raised surrounding its propensity to interact with biological molecules through electrostatic and hydrophobic interactions. While DSS has been shown to interact with certain proteins, membrane protein studies by solution-state NMR require use of membrane mimetics such as detergent micelles and, to date, no study has explicitly examined the potential for interaction between membrane mimetics and DSS. Consistent with its amphipathic character, we show DSS to self-associate at elevated concentrations using pulsed field gradient-based diffusion NMR measurements. More critically, DSS diffusion is significantly attenuated in the presence of either like-charged sodium dodecyl sulfate or zwitterionic dodecylphosphocholine micelles, the two most commonly used detergent-based membrane mimetic systems used in solution-state NMR. Binding to oppositely charged dodecyltrimethylammonium bromide micelles is also highly favourable. DSS-micelle interactions are accompanied by a systematic, concentration- and binding propensity-dependent change in the chemical shift of the DSS reference signal by up to 60 ppb. The alternative reference compound 4,4-dimethyl-4-silapentane-1-ammonium trifluoroacetate (DSA) exhibits highly similar behaviour, with reversal of the relative magnitude of chemical shift perturbation and proportion bound in comparison to DSS. Both DSS and DSA, thus, interact with micelles, and self-assemble at high concentration. Chemical shift perturbation of and modulation of micellar properties by these molecules has clear implications for their use as reference standards. Benjamin Morash and Muzaddid Sarker have contributed equally to this work. Thanks to Dr. Mike Lumsden for spectrometer maintenance and troubleshooting support at Dalhousie’s Nuclear Magnetic Resonance Research Resource (NMR3), Bruce Stewart for technical assistance in the lab, and Dr. James Nowick (University of California, Irvine) for generously providing DSA. This work was funded by a Canadian Institutes of Health Research (CIHR) Operating Grant (MOP-111138 to J.K.R.) and a Nova Scotia Health Research Foundation (NSHRF) Scotia Support Grant (MED-SSG-2015-10041 to J.K.R.) J.K.R. was supported by a CIHR New Investigator Award.